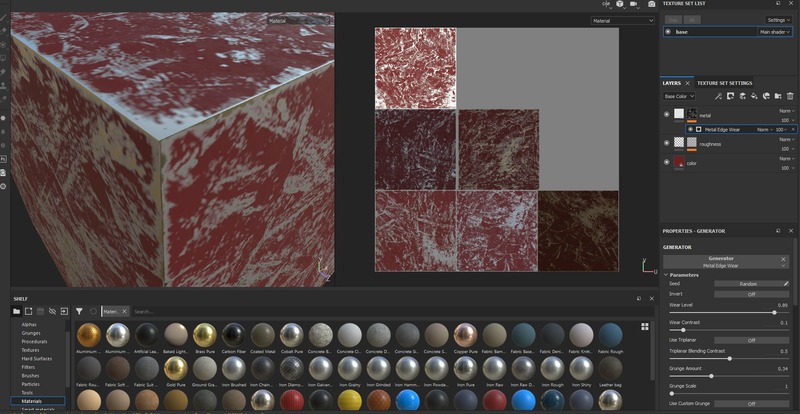 Can anybody explain me, how to create semi-metallic areas on scratched painted metal? 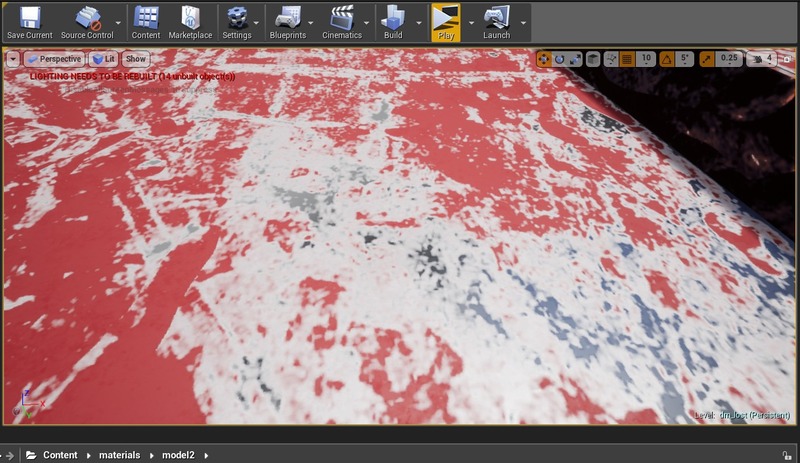 I used to use soft brushes in the spec-gloss pbr workflow, but now, when i use metal-rough workflow it becomes a problem: when i import my material into UE4, i see white rags in the areas, where metal smoothly "turns" into paint. Eventually i have my paint zones, white areas and little islands of pure metall. 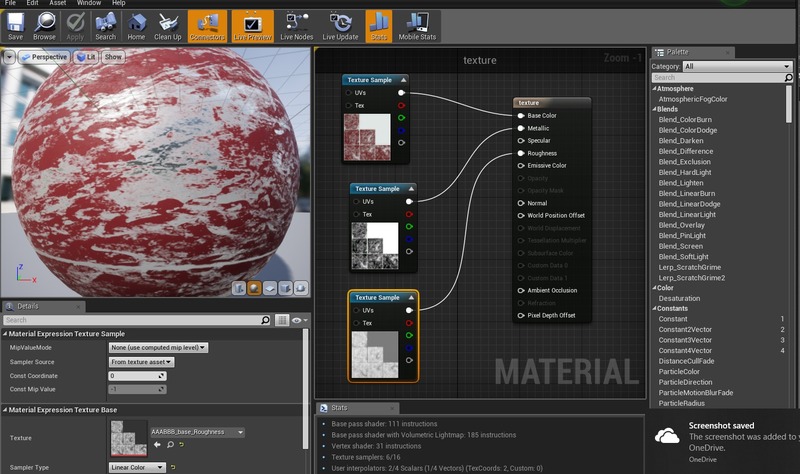 I created the material (provided on the images below) in Substance Painter, and exported it with standard UE4 metal-rough preset. 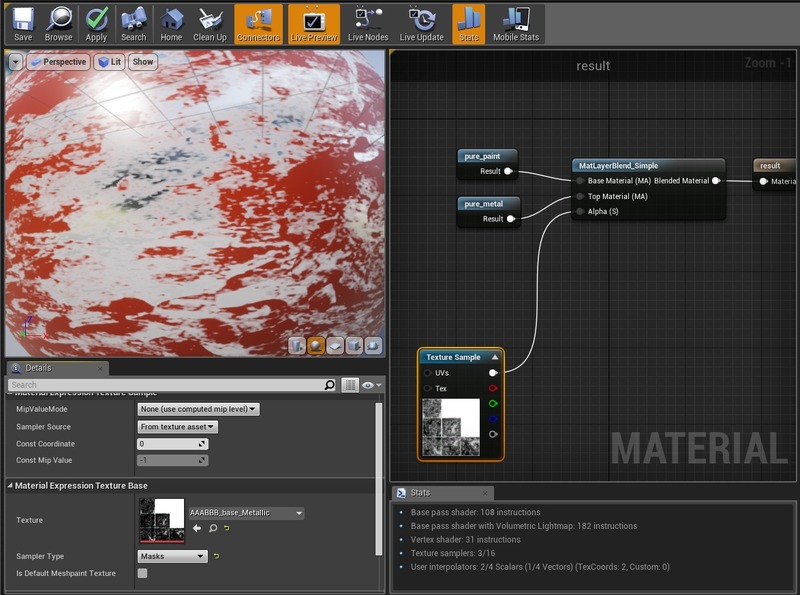 If i use material layering in UE4, with my metalness map as a mask (with MatLayerBlend node), it leads me to the same results. This is a universal issue with the metallic workflow. You should avoid using semi metallic transitions as much as possible.